Alexandria Ocasio-Cortez, a United States (US) politician, activist and member of the Democratic Party, recently came into the spotlight for proposing a 70% top tax rate to finance the so-called “Green New Deal”, a government plan to transition to a socially just society with a zero-carbon economy. Even though this top tax rate might look high for some, historically speaking, it is not. 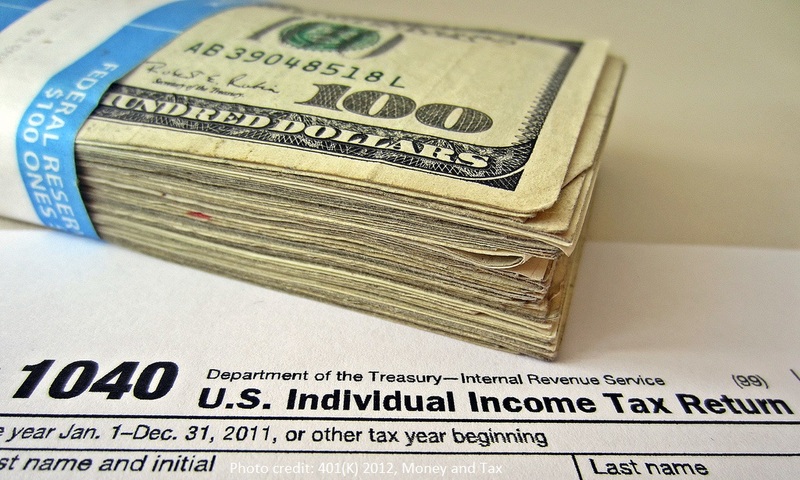 Not so long ago, top earners in the US paid a 91% top income tax rate. Increasing the income tax rates of the top 1% and top 5% could provide governments with fiscal resources to fund development strategies and progressive economic and social policies. This article, based on a peer reviewed paper (Cruz-Martinez, 2018), examines the revenue-generating potential of increasing the top-income tax rate of the super-rich to help finance universal social pensions for older age. However, a similar analysis could be done with alternative progressive policies. Social pensions – or non-contributory pensions – provide basic income security to older-age adults. Social security and taxation operate jointly to overcome individual deprivations and reduce income inequality, bringing “taxation into social protection analysis and planning”. The question remains: How and from where to increase government revenues in order to fund the expenditure side of poverty and inequality reduction? Fiscal space refers to the creation of room in a government´s budget for a desired purpose. The idea is to create new sources of revenue and expand existing ones – that are sustainable in the long-run – which can be used to finance social protection, without building new liabilities nor distorting macroeconomic stability. Domestic tax and non-tax revenues, expenditure redirection, enhancing expenditure efficiency, reducing/restructuring/relieving public debt, external financing, and aid transfers are among the most obvious options by which governments can create fiscal space. Durán-Valverde and Pacheco identified distinct fiscal space creation strategies adopted by eight low- and middle-income countries (LMICs) to finance the extension of social protection. For example, Bolivia combined natural resource extraction taxes, debt reduction, and sales of state assets, while Namibia increased social contributions, mobilised budget surpluses, and used official development assistance (ODA). A broad literature base exists on how to create fiscal space to finance social protection (see here, here, and here). Increasing tax revenues is one option available to create fiscal space – if not perhaps one of the more politically contentious modes available. Generally speaking, two options are readily available: Increasing tax rates and reducing tax evasion and elusion. Not all tax increases affect all individuals equally. If governments can identify progressive means of increasing taxes, revenues can be used as a means of redistribution. In the case of social pensions, revenue raised via taxes are transferred to one of the most vulnerable segments of the population, and one which is comprised of arguably the clearest example of the development of state-society relations: Older-age individuals. If taxes on goods and services – which are generally a regressive type of tax – are taken out of the picture as an option to increase revenues, income tax is the most significant source of government revenue. High-income Organisation for Economic Co-operation and Development (OECD) countries generate revenues from individuals income tax almost three times higher than the rest of nation-states (calculated by the author using IMF-GFS data). Increasing revenues via direct taxation in LMICs is considerably more difficult than in OECD countries, mainly due to the large proportion of workers in the informal sector. However, there are viable alternatives. According to 2018 data from KPMG, eleven countries have an income tax rate of zero. Approximately 79% of the countries in the sample (115 of 145) have a top marginal tax rate below the 2018 OECD average (42.01%). Taking into account these numbers it is difficult to justify that there is little room to manoeuvre to create fiscal space by increasing the income tax rates on the wealthiest. Figure 1 estimates the potential impact of an increase in the tax rates of the wealthiest individuals across 22 countries. Using data from the World Wealth and Income database, the potential fiscal space generated by increasing the tax rates of the top 1% and top 5% income share is calculated (as proposed by Piketty, Saez and Stantcheva) (see here for more details on the formula used). Taking the sample of 22 countries into account, an increase of 5 percentage points on the average tax rate of the wealthiest 1% would generate a fiscal space equivalent to 0.3 per cent of gross domestic product (GDP). Meanwhile, an increase of 10 percentage points would generate 0.6% of GDP, and an increase of 20 percentage points would produce 1.2% of GDP. The same three tax rate increases on the wealthiest 5% generate, on average, a fiscal space equivalent to 0.6, 1.3, and 2.5% of GDP. These numbers, of course, should be treated with some caution. Orthodox economists believe that increasesing tax on wealthier income groups may result in adverse economic effects. However, research on high-income countries shows no correlation between top income tax rate cuts – since the 1970s – and economic growth. Likewise, it might be the case that higher top income tax rates may provoke greater incidences of tax avoidance, reductions in productivity, and a decrease in new firm development. Again, as argued by Piketty and colleagues, even after considering these negative externalities, the optimal top income tax rates remain between 57% and 83%. Kinderman and Krueger place the optimal top income tax for the US close to 90%. None of the 22 countries examined in the Figure would surpass the 83% barrier with the experimental increase of their actual top tax rate by 5, 10 or 20 percentage points. What is the financing power of the fiscal space created after raising the income tax rates to the richest 5% by 10 percentage points? China would likely be able to finance 36.3% of a basic social pensions for everyone over the age of 70 and with a pension level equivalent to 20% GDP per capita. This same increase would allow Uruguay to finance 66% of a similar basic social pension, while Mauritius and Malaysia would be able to finance 61.4 and 87.6% of a basic social pension with an eligibility age of 65. The costs of universal social pensions for these cases were calculated in a previous article. This article shows that there are politically and economically viable options to finance universal social protecion. Each country should examine its economy and its social reality to adapt a tailored fiscal space creation strategy. Income tax revenues from the super-rich is just one of the many strategies available.